We have been busy putting more work on the Makers’ Eye website this week. Our new ‘Gabriel’ chair is up. In case you missed the fabulous time lapse video of the photo shoot by Will and Mark at Double Exposure Photographic, just click here to find it on this blog. We have high hopes when we start showing this chair later in the year, I can’t wait to see it in some other timber combinations as well. 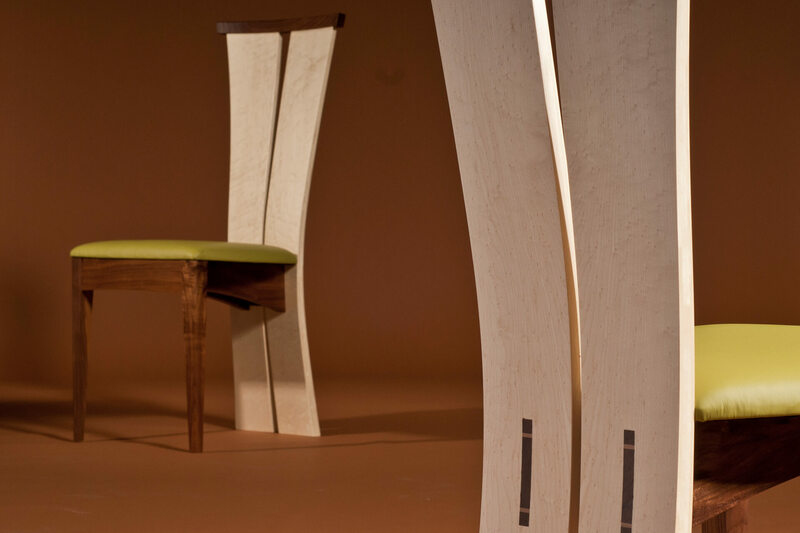 Looking at the Makers Eye ‘dining chairs gallery’ page it also just re emphasises the need for a great image. It does stand out on that page. So what else is up and new. 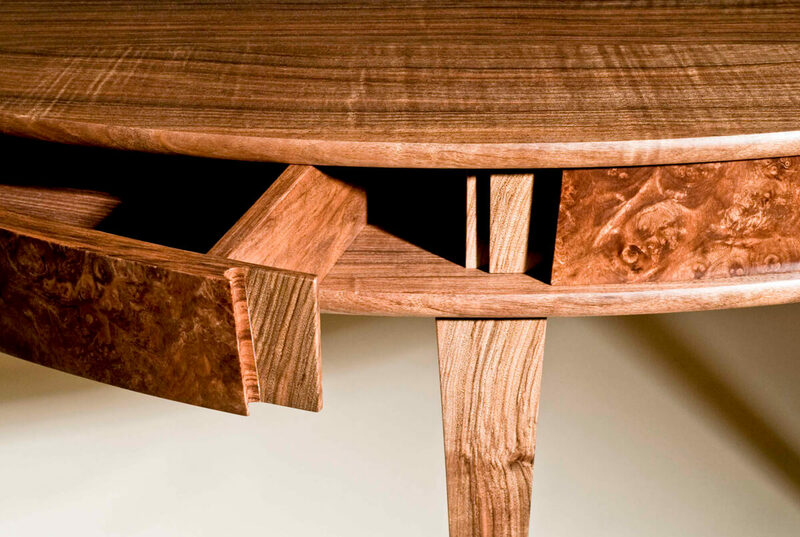 Well we did love making those pivot drawer tables in English walnut before Christmas and we now have some stunning shots of those. I think I said in the ‘Around the Workshop’ round up at the time how amazing that walnut tree was. That has just about finished the whole log now, probably just enough for another small speculative project, though I’ve not decided what yet. Certainly one of the best projects of 2011 in terms of our satisfaction. The other new images on Makers Eye are of pieces I’ve had for a while but never had properly photographed, because they were similar to things we’ve had shoot before, albeit in another timber. Being on Makers Eye does mean it’s worth getting them done though. 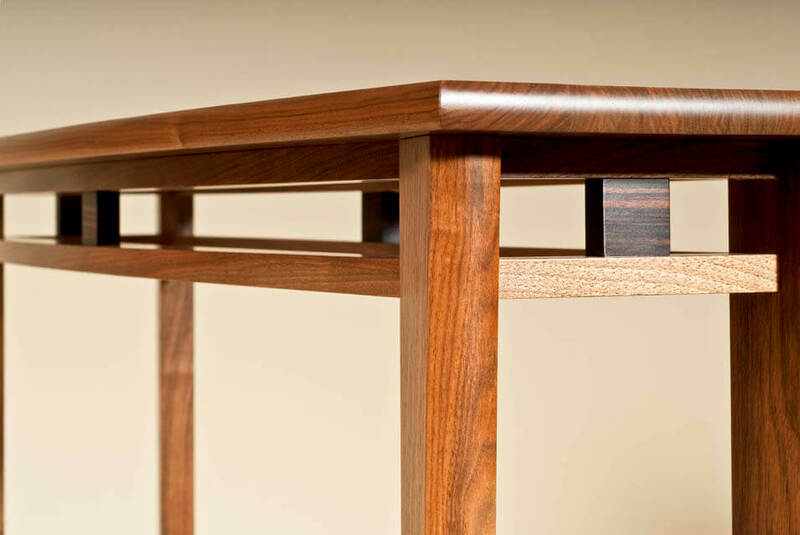 Got some lovely detail shots of the two walnut console tables that are here on display at the Courtyard Workshop. One is in English walnut with ebony details. The other is the last of the English grown Virginia (black) walnut specimen we had. That one has burr elm detailing. They are both lovely but subtly different.